The private Spanish classes are perfect for professionals, those who don’t have a lot of time to study Spanish or people who wish to learn about specific topics in Spain, such as: business Spanish, law, tourism, exportation. Perfect to reach a professional level! The private Spanish course includes cultural and social activities where you can practice Spanish with other students at the school, visit wonderful places in Malaga and get to know the Spanish lifestyle. Wide range of audio/visual materials, handouts, the school’s own materials, and the internet. Also bases on student´s preferences. The private Spanish course will help you improve your oral and writing skills so that you feel more fluent and confident speaking Spanish at a professional level. 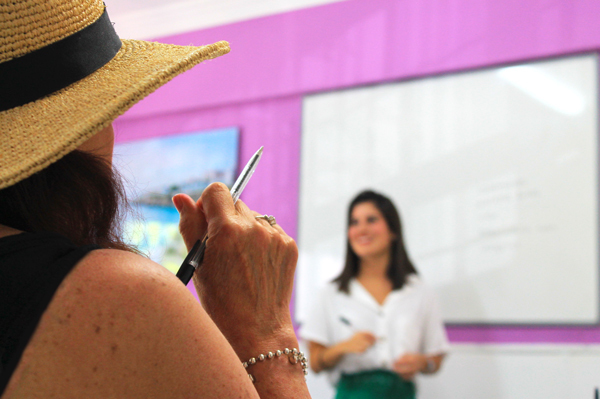 Our teaching methods, 100% tailor-made for you, will help you speak and understand Spanish thanks to the personalised programme and our private Spanish lessons in Spain. 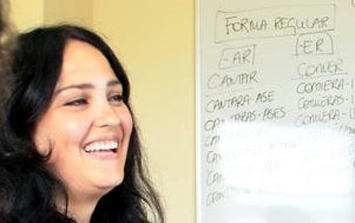 The Spanish course is completely adapted to suit your needs and for you learn at the right pace. The skills that you use the most are also taken into consideration for the planning of the classes. Not forgetting, however, that the foundation of the learning process of any language is to practice the knowledge acquired. Any comments? What are your main goals? Spanish for lifeSpanish for businessSpanish for StudiesGrammarWritingConversationListeningExamsSpecific vocabulary, which one? Looking for quick results in a small group? Our Intensive Spanish course may be for you.